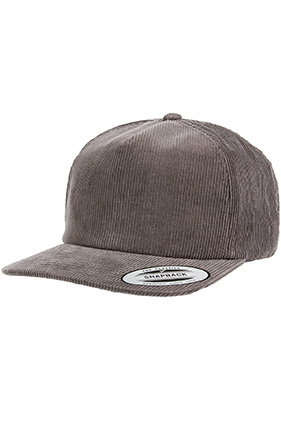 100% cotton corduroy cap. Soft-structured with reinforced flip down mesh support. Mid-profile, 3¼" crown. Five-panel. Flat bill. Snapback closure.